The municipality of Stavanger in Norway has just received a hyper detailed model of their city in Minecraft. The model will be used to involve children and young people in the future design of the city. 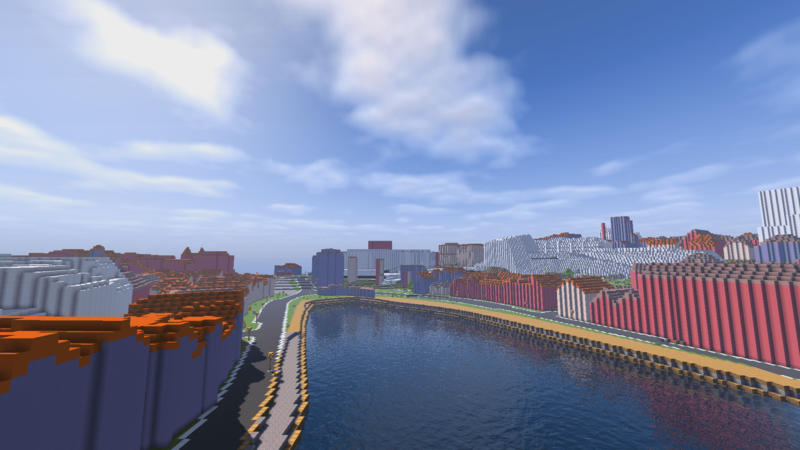 City of Stavanger, Norway – compiled in Minecraft by GeoBoxers. CLICK ON THE IMAGE to move and zoom in the overview. Central Stavanger is planned to undergo large changes the coming years, and this summer citizens have been invited to give their opinion about the plans through a public hearing. 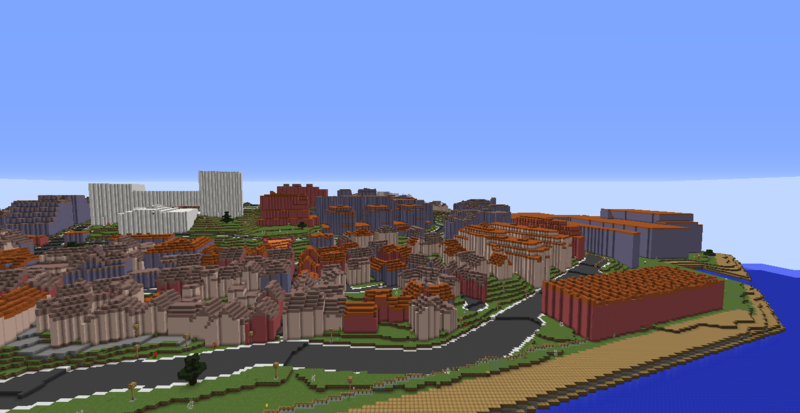 To ensure the engagement and involvement from the city’s youngest inhabitants, the municipality hired GeoBoxers to make a detailed Minecraft model of the central parts of Stavanger. Stavanger City in Minecraft – this small bay is called Vågen. The new planned buildings are shown in white. The model was made from terrain model and GIS data from Statens Kartverk and the municipality of Stavanger supplemented with data from OpenStreetMap and finally overlayed with 3D architectural data showing planned buildings. All kinds of available data is included: terrain heights, buildings, roads, land use, fences, railroads and light poles. Existing buildings are shown in a soft colour scale, planned buildings are white. Stavanger in Minecraft. Two small islands just outside Stavanger City: Plentingen and Natvigs Minde. Stavanger City in Minecraft will be used in three schools, where students will have the opportunity to act as city planners. After a while, the model will be accessible for all citizens in Stavanger. Read about the project in Aftonbladet, a Norwegian newspaper (in Norwegian): Minecraft skal få unge til å bygge fremtidens Stavanger. Contact us to know more about how we can build real worlds in Minecraft for you. (C) Statens Kartverk, (C) Stavanger Kommune and (C) OpenStreetMap contributors. 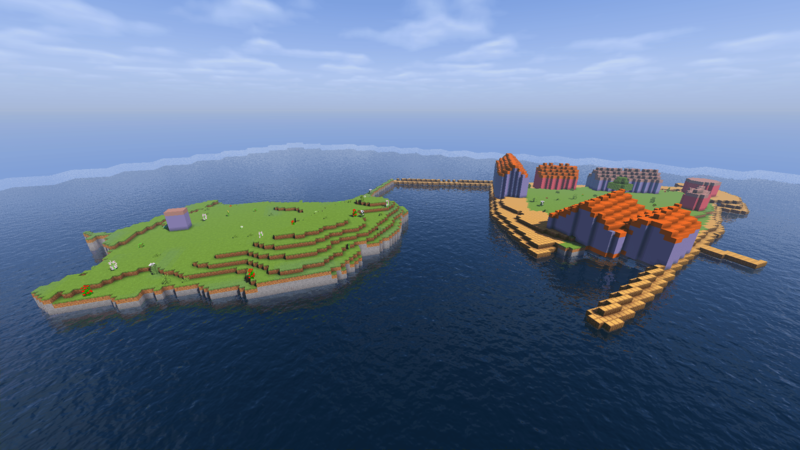 For more inspiration on real data in Minecraft: Read here. Another view of Stavanger with one of the new buildings in white and Stavanger Konserthus (concert hall) furthest to the right.